“What is the application about? OfficeHelperBOT is an application targeted towards a smart office setting. 2 Raspberry Pi 3 Model B would be setup for this. Raspberry Pi 1 would be the main machine which will take in all the values from the sensors, publishing the data via MQTT, storing data into cloud database which we are using DynamoDB and running the web portal server. 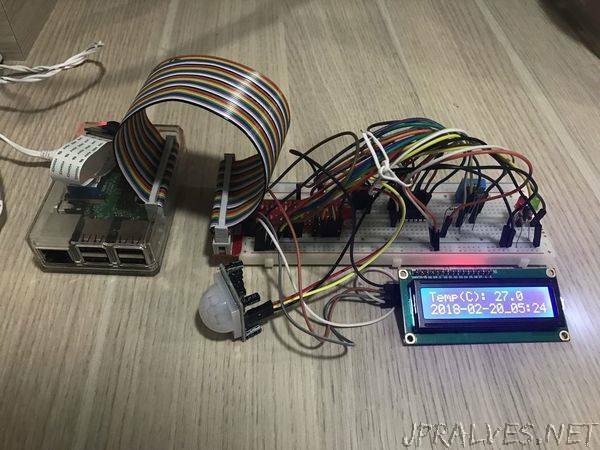 Raspberry Pi 2 would be used at the door. It would require the employee to verify their identity before they are allowed access into the office. There are two methods to do so which are via a pin code sequence and a QR code verification. In the cases that the verification may be misused, we would take picture of whoever is having failed verification and store the persons image onto AWS S3 Bucket. A webpage would be able to view DHT, light, motion detected photos and video of the office. The webpage would also be able to control the office lights and also view a live stream of CCTV of the office.